Sorry, no longer available. 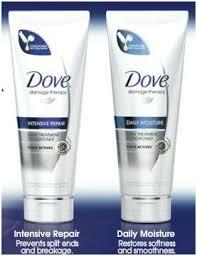 Get a free Dove Damage Therapy Daily Moisture hair care sample from Sam’s Club. This sample is now available to everyone (you do not need to provide your membership number, just leave that field blank). You should receive your sample in 4 to 6 weeks. Thanks to MoJo Savings for sharing that this sample has now opened up to everyone. Find out what other free samples from Sam’s Club you can sign-up for. Each sample offer is different – some are for everyone and some are only for members. Aw, man, I just checked, and they’re gone. But you can sign up for the next offer, in a few days! Previous post: Kroger Summer Sweeps: 2nd Round, Win Again!